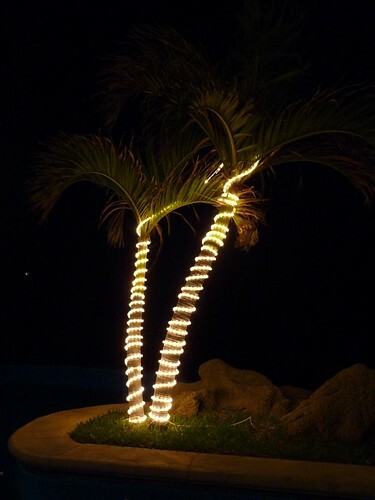 I know it's the spirit of it all, but there is something vaguely obscene about a decorated palm tree. Have a Damn good one. I like all the curves in the photo. and homes are bright with cheer. and wishes go to you.